Give your living room an urbane update with this sectional. 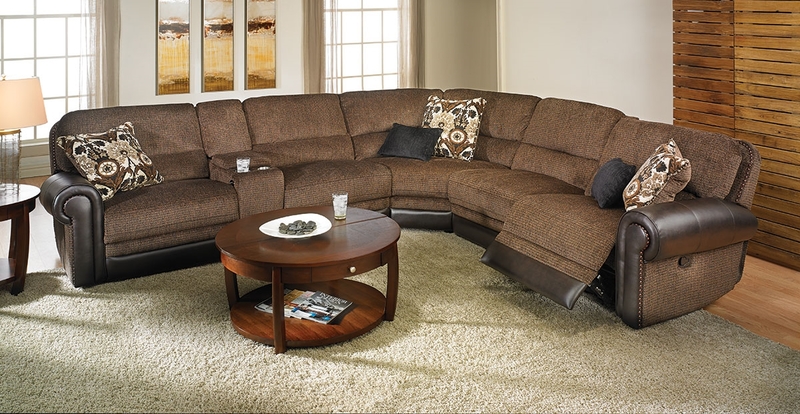 Its classic tweed upholstery is complemented by the espresso-colored bonded leather on its roll arms and front rail. Two of its extra wide seats recline at the push of a button, while a manual recliner at the other end ensures everyone can relax. Included toss pillows amplify the comfort provided by its double pillow back and extra wide seating, while nail head trim supplies timeless charm. An included storage console with cup holders and USB charging ports completes this sectional with convenient finishing touches.